Liverpool’s Preseason Report: Are Reds ready for new season? Liverpool fans have every reason to be optimistic ahead of the new season. Jurgen Klopp oversaw a campaign at Anfield last season which saw Liverpool finish fourth and reach the Champions League final, and his heavy metal style of football was fully embraced by players and fans. Now with the addition of some quality signings, things are looking very rosy on the red side of the Mersey. Unlike some of their rivals, Liverpool have sorted their business early and appear to be in good shape for the season ahead. Liverpool’s results have been strong, only suffering one defeat so far in six games, although some have been against rather weak opposition. They can certainly take heart from the 2-1 victory over Man City with Mohamed Salah and Sadio Mane finding the net. 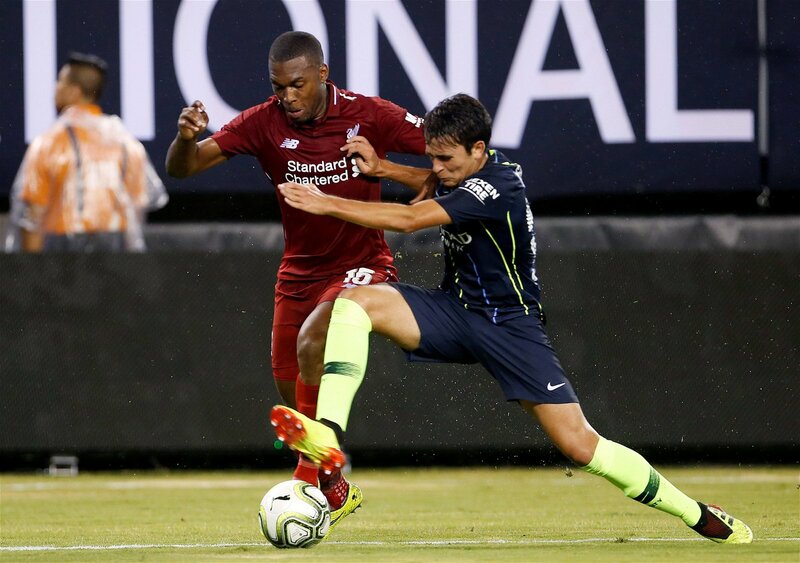 Liverpool were playing a stronger side than City who are still waiting for a number of first team stars to return from the post-World Cup break, but it was still an encouraging result for Klopp’s side who will want to take their run of form into the new season. Liverpool’s next game against their rivals Manchester United will be their final match of the International Champions Cup in the USA. They will then head to Dublin to face Maurizio Sarri’s old outfit Napoli before returning to Anfield to face Torino for their final run-out before the season commences. Liverpool are facing good opposition throughout their pre-season and this should stand them in good stead for the start of the Premier League. How are the new signings getting on? We are yet to see Xherdan Shaqiri or record signing Alisson feature for Liverpool due to their World Cup breaks but Naby Keita and Fabinho have been used by Klopp in their preseason fixtures. By all accounts, Fabinho has looked very effective as a screen in front of the back four, with a good range of passing and crucial tackles and interceptions. 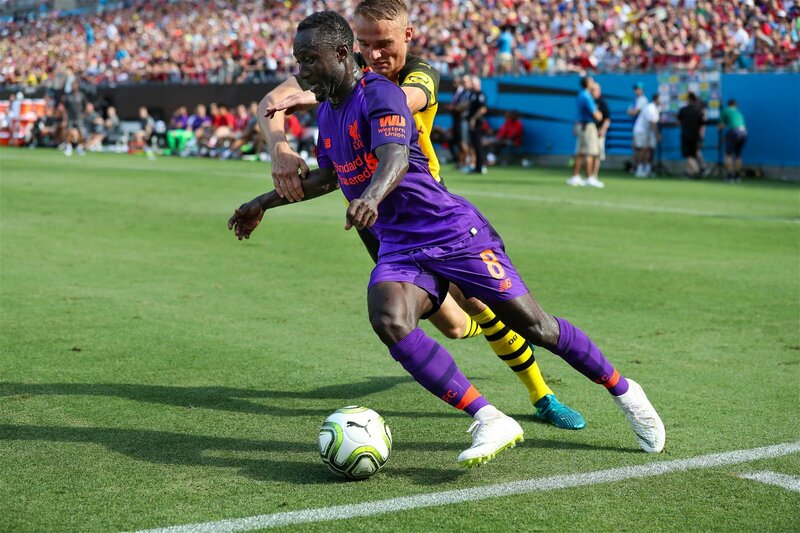 It’s a huge positive that he and Naby Keita have been able to enjoy the game time beside each other as neither were involved in the World Cup, as it allows them to learn each other’s playing style before the season kicks off and start to forge an incredibly exciting and fasciniating partnership. Keita looked very strong in his first outing for Liverpool against Chester and was arguably the best player on the pitch that day, and their new midfield pairing certainly looks a step above what Liverpool had to offer last season. Loris Karius had the chance to put his Champions League horror show behind him in preseason but it appears his mistakes will continue to haunt him. He was at fault for Dortmund’s third goal and has had a lucky escape on other occasions. But now Liverpool have brought in Alisson, it seems that he will very much be relegated to the substitutes’ bench this season. Daniel Sturridge spent the second half of last season on loan at West Bromwich Albion and it seemed his time at Anfield was nearing its end. However, he is part of their touring squad this summer and has looked effective and could even play himself back into contention. Liverpool need a backup option to the front three of Sane, Salah and Roberto Firmino and Sturridge could well be that man. The England international scored a brace against Chester and has looked lively throughout preseason. His talent has never been in question, and if he can stay fit he could solve a real problem for Klopp in terms of squad depth. Marko Grujic is another who seems earmarked for a move with Cardiff City interested in bringing their former loanee back to the club. The midfield stalwart impressed against Manchester City although he is very unlikely to displace the midfield of Jordan Henderson, Fabinho and Keita. A lot was expected of Grujic when he signed for Klopp back in 2016 and it could be time for him to start pushing on an getting more first team action at the club. Curtis Jones has been the surprise package of Liverpool’s preseason and has looked very lively in attack. The 17-year-old played on the left of a front three against City and looked dangerous with his movement and came close to scoring for the Reds. He always wanted the ball, a great sign for a youngster playing alongside such experienced pros, and fans will be hoping he can break into the first team from the academy much like Trent Alexander-Arnold has done. Another player who has caught the eye has been Rafael Camacho. The 18-year-old Portuguese winger has put in some impressive performances, scoring against Tranmere and assisting Salah’s goal against Manchester City. He’s a versatile player, capable of playing across the front three, but has been employed by Klopp as a right wing-back, showing his quality across the pitch. Klopp has every reason to be cheerful ahead of the 2018/19 season, but now that he’s spent some money, the pressure’s on for ‘The Normal One’ to bring some silverware back to Anfield.